February is American Heart Month, so we're offering a continuing education special that will get your blood pumping. 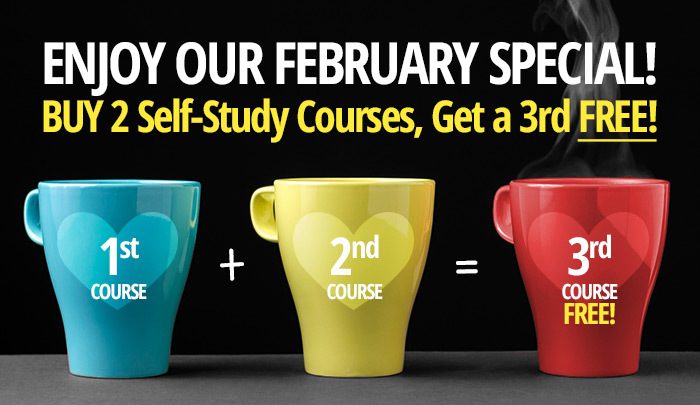 All month, when you buy two self-study courses from our CE Learning Library, we'll give you a third course FREE. Just use coupon code FEB2+1 at checkout to get your free course. Note: you must have two other courses in your cart to get the free course with this code. Visit CE.TodaysDietitian.com to review our course catalog and choose courses you want this month.